Instant Car Donation was founded with the goal of bringing donors and local charities together with an efficient and pleasant process. You can focus on deciding which of our respected charities is right for you instead of worrying about difficulties of researching how to make a donation. After your free pickup, we will assist you in recieving the best tax benefit possible for your generous gift. We take pride in helping smaller charities easily receive car donations, bringing people together while helping support those in the Aurora, Colorado community who need it the most. Here are some of our favorite charities in the Aurora area. We have made sure each of them are eligible for tax deductions when you help your local community by donating your car. Your values and choice can make a difference. Courage is...the campaign to transform children's health! At the Foundation, we believe all children should have the chance for a healthy future. We are committed to community engagement and facilitating philanthropic support on behalf of the children and families Children’s Colorado serves. Support. Educate. Advocate. Choice & care at the end of life. Compassion & Choices works to improve care and expand choice at the end of life. Our professional staff and trained volunteers help thousands of clients each year by listening without judgment to their fears and guiding their search for a peaceful, humane death. We help clients with advance directives, local service referrals and pain and symptom management. We offer information on self-determined dying when appropriate and provide emotional support through a difficult time. We employ educational training programs, media outreach and online and print publications to change healthcare practice, inform policy-makers, influence public opinion and empower individuals. Compassion & Choices devotes itself to creative legal and legislative initiatives to secure comprehensive and compassionate options at the end of life. Food Bank of the Rockies (FBR) was founded in 1978 and known as the Colorado Food Clearing House. Operating from a 900 square-foot schoolroom in northwest Denver, the fledgling organization collected food from nearby Safeway stores and distributed it to one needy agency. Today, the Food Bank has extended its reach across northern Colorado and into Wyoming, providing food supplies to more than 1,000 hunger relief programs. Last year, we distributed nearly 25 million pounds of food, enough to provide over 52,000 meals each day to children, seniors and families in need. To increase awareness, engage in advocacy and to secure and provide resources to improve direct clinical services and delivery systems; for research of innovative prevention and treatment programs; and to provide training, education and consultation for the prevention and treatment of child abuse and neglect throughout Colorado and the nation. Free, full lives for the children affected by war and oppression. Through holistic action, Partners Relief and Development demonstrate God's love to children and communities made vulnerable by war and oppression. Partners Relief & Development is a registered charity in Australia, Canada, Norway, the United Kingdom and the United States, working with communities impacted by war. We are a community committed to the leadership of Jesus. We follow Christ's teachings. As he modeled a life of love, so we are committed to demonstrating love. We pray and seek God's guidance. We are committed to empower individuals and communities and co-create sustainable solutions to their poverty. We are a voice for the displaced and oppressed. We seek system change. The Adoption Exchange is a child welfare organization founded in 1983 to work for safety and permanence in the lives of foster children. Initially an exchange point for caseworkers to discuss placement of children with families seeking to adopt in the Rocky Mountain region, the organization has grown considerably over the years. Today, The Adoption Exchange works to create a world where every waiting child finds a permanent family. Through rigorous collaboration with state, federal and other relevant agencies, The Adoption Exchange focuses on innovative child-specific strategies that provide vibrant pre- and post-adoption services that speed waiting children to caring and loving relationships that last. Since its inception, the agency has connected over 8,000 waiting children with loving adoptive homes. Headquartered in Colorado, The Adoption Exchange offices operate in Utah, New Mexico, and Nevada. Missouri, Oklahoma, South Dakota and Wyoming are also participating member states. The Retired Enlisted Association Memorial Foundation (TREA Memorial Foundation) was established in 1990 to support and assist fellow veterans, active and retired, their families, military widows and children as necessary to provide assistance during their time of need. The Memorial Foundation has the following programs which provide assistance for veterans and their families: scholarships for the children, grandchildren and great grandchildren of TREA and TREA Auxiliary members; benevolent assistance for families of veterans who are faced with adversity; and disaster relief assistance for victims of disasters who may be left homeless or in financial despair as a result of natural disasters. In January 2005, the Foundation started a new program, AFAC, in support of a military person or their dependents in need of help as a result of the conflicts in Iraq and Afghanistan. Think big. Be bold. Make change. The Women's Foundation of Colorado's (WFCO) mission is to build resources and lead change so that the women and girls of Colorado are full and equal participants in society. Our goal is that every woman in Colorado is economically self-sufficient, and every girl in Colorado is on the path to economic self-sufficiency. WFCO focuses its efforts on: an interactive and collaborative grantmaking process; and on research, education, advocacy, and collaboration. A catalyst for social change since 1987, WFCO has built an endowment of over $11 million, and has invested more than $9 million with 180 agencies in 75 communities statewide. There are many charitable institutions in your Aurora area which can benefit from your automobile donation. We not only help you contribute to a nearby charity, but we concentrate on supplying with an simple way that they can focus on their important work, to accept donations. The donation is likely to make the largest difference for charitable institutions, like Kempe Foundation for the Prevention and Treatment of Child Abuse and Neglect, while helping support those within their neighborhood Aurora community who need it the most, bringing people together. Car donations are the way for people to create a sizable contribution. Due to this, one of our primary aims is to enable those electing a decision by making sure that the automobile goes into the charity which best reflects their values. We make charity choice an essential part of the process, when donating with us. We can do this should you need us to decide which charity would be helped the most. It is necessary to Instant Car Donation that you receive the greatest tax deduction advantage possible without needing to navigate complexities or carry out extensive research. We all of our charitable institutions, such as FORGE, that are participating will be tax deductible. The procedure will be streamlined for both you and the charity of your own choice. We'll provide you following your contribution with a 1098-C tax document. If you've got a charity in mind you would like to donate to, you can donate with us. While there are numerous benefits to charities that receive donations from individuals, the benefits to the you, the donor might not be too clear. The largest advantage that the majority of people hear about is the chance for a tax deduction. This means that the resale value of the donated vehicle may be written off on your tax return. There are a few limitations on this type of deduction, so you may want to talk to a tax pro prior to making the donation. An additional advantage of donating a used auto to charity is your chance to just eliminate the car without having to try to repair or sell it. Most charitable automobile donation programs will except vehicles whether they are operating or in need of repair. Some trucks or cars which are beyond repair will be sold for parts or waste along with any money received will go to the charity. Car donation programs are becoming popular in Colorado over the previous ten years or so, as more charities are looking for new and innovative approaches to generate funds. These days, the amount of charitable automobile donation programs numbers in the hundreds or perhaps tens of thousands. In case you have a favourite Aurora charity you want to make contributions to, it is probably possible for this charity to receive at least a part of the funds if you give your used vehicle. Aside from the charitable tax deduction rather than having the hassle of dealing with an old automobile, the feeling of having the ability to assist those in need might be the ideal reason to donate your car, like a GMC V Conventional, to a charity. Most used auto donation programs will sell the vehicle to raise funds for your cause, use the vehicle, such as your Lancia Flavia, in the everyday operations of the organization, or give the vehicle, such as a Infiniti QX60, to a someone in need either for free, or for less than the average market value. Charitable vehicle donation programs permit you to donate your secondhand car to the charity of your own choice. Visit our charities page to find a charity in Colorado to donate to. When you decide to generate a donation of a used vehicle, if the charity sells the automobile, such as your Chrysler Concorde/LHS, to get over $500 they are required to mail you a receipt that lets you subtract the sales cost of the car on your tax return. If the older car you made a decision to donate isn't worth at least 500 dollars, then the IRS allows you to determine the fair market value. This is the value that somebody would be ready to buy the car if buying it from you. So as to claim the tax deduction, then you will have to itemize your deductions on your tax return. You receive the tax benefit, and the charity either gets to utilize the automobile, such as a Dodge D50, sells it and uses the profits for the benefit of the charity. That's a win-win for everyone involved. Is there a tax benefit for donating my vehicle in Colorado? We can guarantee your car, such as a Toyota Tundra, belongs to some charity that's eligible help you recieve a reciept on the contribution and for tax deductible donations. You may have the ability to get a tax benefit for your car 18, if you itemize your deductions. For contributions up to $500 it is possible to utilize Kelley Blue Book and also for larger contributions the charity, for example The Women's Foundation of Colorado, must confirm what they recieved for the auto donation (more information). We will organize a tow truck to come pick up your car, like your Lexus NX, and send it to the non-profit organization, like The Adoption Exchange, of your choice. It could not be simpler now, to help your charity, like Free Speech TV, of your choice! Do you take donations for automobiles which are lost or damaged parts? Surely, we accept automobiles in all states! Go ahead and submit your request to contribute, and our Aurora team will quickly see what we can do. Can you help me find a Aurora charity that suits my personal values? We would really like to assist you ensure that your donation goes to your cause in Aurora you care personally about by helping you choose a non-profit organization, like Compassion & Choices, that fulfills with your values. It is important for us we do so each time you donate with us! What charities do you support in Aurora? Instant Car Donation proudly supports many respected national Aurora organizations in your area. Our Aurora team works with dedictation for you to be sure the organizaion gets maximum support for your car or truck. How do I prepare my Colorado DMV documentation? All owners on the title must complete the section of this car title labeled "assignment of title by owner" or "transfer of ownership by seller". The majority of states require printing and signing owner names. You need to fill out any areas that require documentation about a buyer/purchaser/transferee with info. Directions may be found by you. First we'll contact the non-profit organization, such as Anchor Center for Blind Children, of your choice (or pick one for you if you asked that rather than picked) to make certain they need your own vehicle, such as a Chevrolet Orlando, which takes around one business day. After that wewill arrange for a truck to come for effortless pickup. When it is taking a little longer feel free to get in touch with our support team. There are two ways to donate your car, such as a Red Baron Motors Red Baron Motors: the simple way, and the tricky way. What's the difficult way? You'll be able to research by yourself and look for a charity, such as for instance The Adoption Exchange from Aurora, Colorado, which you may love to guide. Next, you can discover the price of your vehicle, wash it, list it into a classified or an auction at Aurora, register over the nameand arrange to get a tow, and also sell your car. Subsequent to the car is sold and the name is signed you will collect the income and then contact the respected charity of one's own choice, like Jamestown-Yorktown Foundation, so as to contribute the profits. Once you determine who you are supposed to send the test to, then you can drop this in the mail. Then, you can research with the IRS to find out what kind of tax paperwork you want to file so as to find credit for the donation, fill out that paperwork, and apply it at tax time. It appears time-consuming. It looks like a hassle. Are you going to get it? Not likely. You might also write a test to The Nature Center at Shaker Lakes. Who's the time for you to sell a car? In the event you do not desire to experience that grueling procedure, you can even research on the web to get a charity, such as Compassion & Choices, which may process your automobile donation in Aurora, Colorado. That is significantly less time intensive, but your choices are not limited. You can just give your vehicle to associations that are large enough or have a staff that is able to do each the steps listed above because of it. However, almost all small to medium sized charities are not restricted to process car donations. Meaning they are unable to accept your donation. They have been over worked, and mostly surrounded by volunteers. Sometimes the sum of money your vehicle may be worth isn't enough to warrant the time spent with the charity. Are you currently seeking a third choice? If that's the case, keep reading! We will be able to assist you to donate your COMMUNITY CARS Kenguru to the respected charity of your choice such as Huntington Theatre Company! We're a tiny company that partners with every charity to accept car donations. We've got tens of thousands of charities around our site for one to pick from, and if there is a charity you'd want to subscribe to who isn't listed here, we are willing to contact them for you personally on your own behalf. We'll arrange a free pickup of your car from Aurora or the local area, allow you to move your name, and contact the non-profit of your option to make certain they receive your donation. We'll also ensure you get the paper work you want come tax period to find the maximum tax contribution. So go right ahead and click on the donate button. It mightn't be easier! Whenever you make the decision to donate your vehicle, such as a Nissan Versa, to confirm a cause that you care about, you recieve the advantage of a tax deduction - and the charity like GLBTQ Legal Advocates & Defenders (GLAD) receives the benefit of the financing to host projects or programs. But were you aware your automobile donation may also give the benefit of greener living through recycling? Recycle, reduce, and repurpose are all conditions we are extremely familiar with these days. We take some opportunity to form our recyclables into steel, plastics, aluminum and paper. But did you ever feel that automobiles were a portion of recycling? And, the majority of us don't have enough time or power to fix our cars up so that we may market and bring the highest price for what we have. That's where we all come in. If you donate your car, we arrange a free pick up and sale of your car at a local market in Aurora. In the auction, your car will be run on by a person, used car salesman, or mechanic that wishes to give your car fresh life, also has time and skills to perform it. That is to say by donating your vehicle, you are really giving it a new purpose! Who understood that donating a vehicle could achieve so many significant goals at once? As soon as we donate a vehicle, we gain a charity such as The Cornelia de Lange Syndrome Foundation by giving them more comprehensive funding, take the burden of fixing up the auto off of ourselves and we recycle and interrogate our vehicle! Can each charity handle the work it takes to process a auto donation? Regrettably, no. The Women's Foundation of Colorado may not find enough efficacy in managing the towing, titlework and sale of a donated car. And hence, Free Speech TV might not be able to rely on car donations as a source of financing. But through our streamlined process, financing from the selling of your car can really make a difference to non profits such as Kempe Foundation for the Prevention and Treatment of Child Abuse and Neglect. We can lend charities such as Hosanna/Faith Comes By Hearing a hand while some greener, simpler life. Have you got a vehicle, like a Volkswagen Golf/Golf GTI/Golf R Hatchback/Golf Sportwagen/Golf Alltrack, simply sitting in your garage or in your driveway that you have been intending to get rid of? Perhaps you believe that it is too old, or that it's in need of repair or refurbishing. A lot of us are prepared to depart an unnecessary car sitting in our garage or our driveway for years without spending time or money to fix it. So that car sits and sits and sits. Let's be fair. Are we likely to put in cash and the time to fix this car? If we had been, would not we've done it? Not only is this old car an eyesore, but we're also overlooking the chance to apply this precious resource to enable a charity such as Willamette Humane Society! 1 man's crap is another person's treasure, so they say. This is definitely true with car donations. A car, including a Lexus LFA, that is unneeded by you could supply just the correct amount of financing to a charity in Aurora or beyond to fulfill its budget for a current or future project. If you donate your vehicle, you're giving a precious treasure to some charity, as your contribution enables them to continue their work in the community. Partners Relief and Development in Aurora, Colorado is such a non-profit. Its call to actions is directly supported by your donation--you can assist the charity of your choice, like Free Speech TV, to extend the reach and breadth of their great actions in the neighborhood! We pride ourselves in helping you convert your unwanted auto to real treasure! Click the contribute button today to start the process. Once you let us know that you are prepared to give your car, we'll arrange to get a completely free pickup in Aurora or your community area and sell your car. All you need to do is tell us which respected charity matches the phone of your own heart, and we'll finish up. The very best part is that if you receive the benefit of clearing out old, unneeded junk, you also get to offer funding to the charity of your choice, like Youth Haven, and ultimately, you receive the most tax advantage for your donation. We'll provide you with a tax receipt for your contribution, and also ensure that the charity of your choice receives the contribution as well as the necessary IRS paperwork to accept your donation. Have you been considering donating a car in Aurora, including a Chrysler New Yorker, however wondering what impact this may have for the charity of your own choice? If this is the case, keep reading to see how your automobile donation in Aurora may be a real difference and effect on little and medium-sized charities like Food Bank of the Rockies on your area. Among the greatest challenges for small charities with a few or no paid employees is the way to maximize their funds and avoiding volunteer burn-out. The Women's Foundation of Colorado at Aurora, Colorado, is a non-profit. Food Bank of the Rockies's mission is carried out by volunteers. Since the majority of work is carried out by volunteers, so the charity's tasks are carried out by volunteer staff, many of who lack skills which the non-profit should flourish. In fact, many times that the particulars of fundraising attempts are determined based on who's available to carry them out, rather than what are the most effective means to fundraise. If a small nonprofit like Compassion & Choices be able to be given a automobile donation, including a Rolls Royce Phantom? We think so! 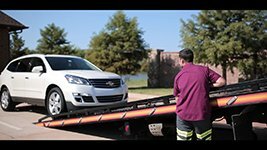 However, what about all of the logistical help, time and money that is needed to arrange the tow truck and also the selling of your automobile with an auction? It appears unlikely that a charity like this would truly be able to take on promoting your donated car, even when you chose to donate it to them. That is where we all come in. We associate with any and each non-profit who wants to be given a car donation, such as The Adoption Exchange, and offer our expertise and aid in processing the automobile donation. Then we be sure the charity receives the utmost donation it can receive so it may improve its operating funding and finance new and existing programs. Your car donation could be worth a few hundred or even several thousand dollars or more, based on the vehicle that you donate. Though it might not seem like a great deal of money, it is an unplanned windfall to get a small or high-income charity such as The Retired Enlisted Association Memorial Foundation. Still contemplating donating your vehicle to a charity at Aurora? We can assist! Simply click the donate button and then let us know that you are, and we are going to arrange your free pick up and to sell your vehicle. We will also contact the charity of your choosing, and ensure they receive the money they need to continue their great and important function in our regional community.